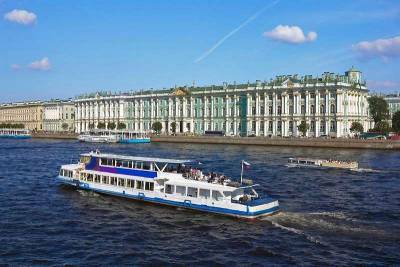 Cruise ship passengers who visit St Petersburg should always choose the visa-free option. 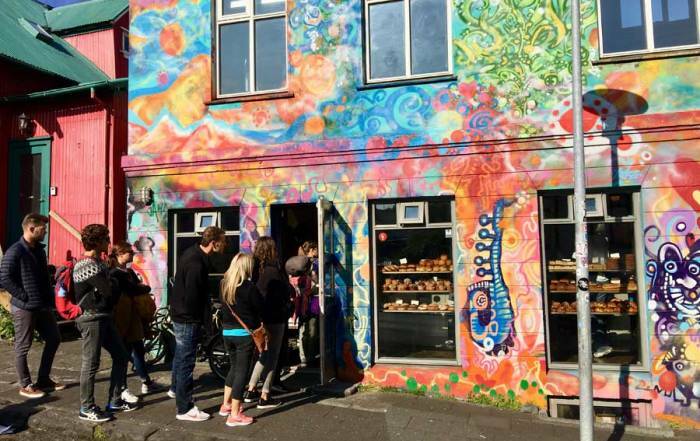 Everyone else who visits Russia must obtain a visa, which is complicated and expensive too. 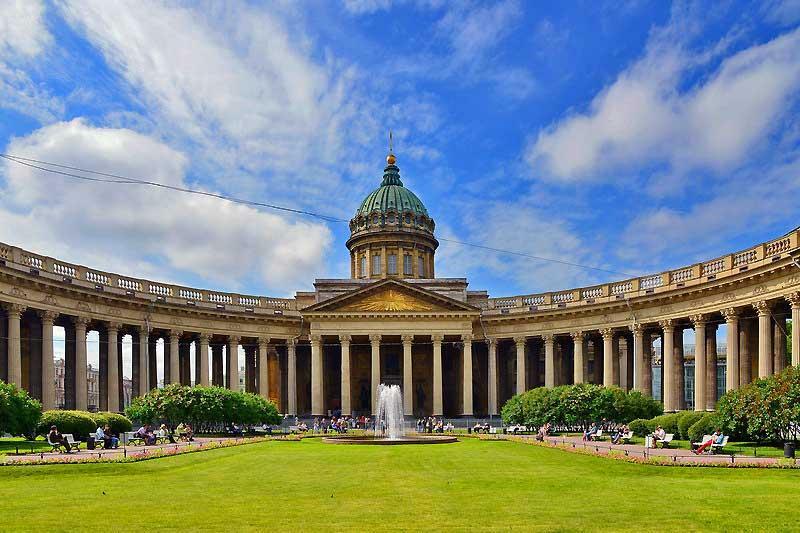 Cruise ships shore excursions qualify for visa-free tours, but independent tours can also offer an excellent Visa-Free 2 day Tour of St Petersburg. When you visit St Petersburg, make your own Old Town St Petersburg Walking Tour, but remember you will need a visa to visit Russia on your own. 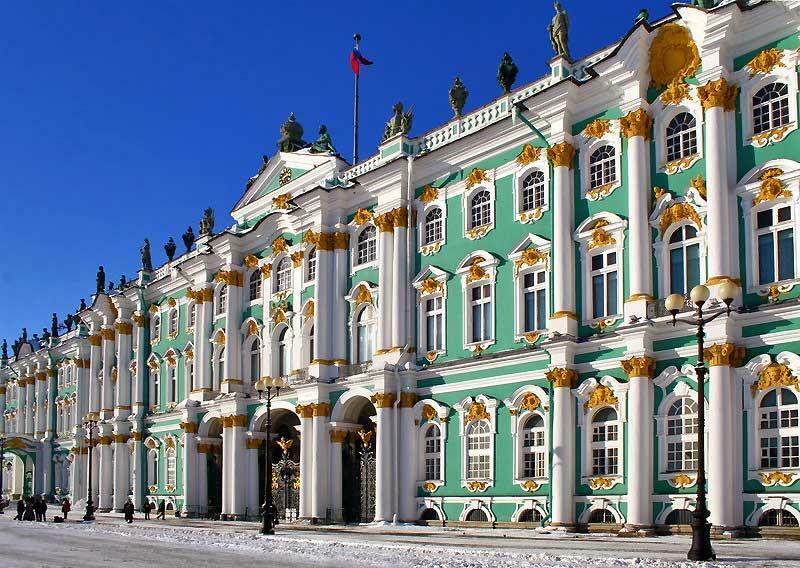 Start at the Winter Palace, which is part of the State Hermitage Museum. 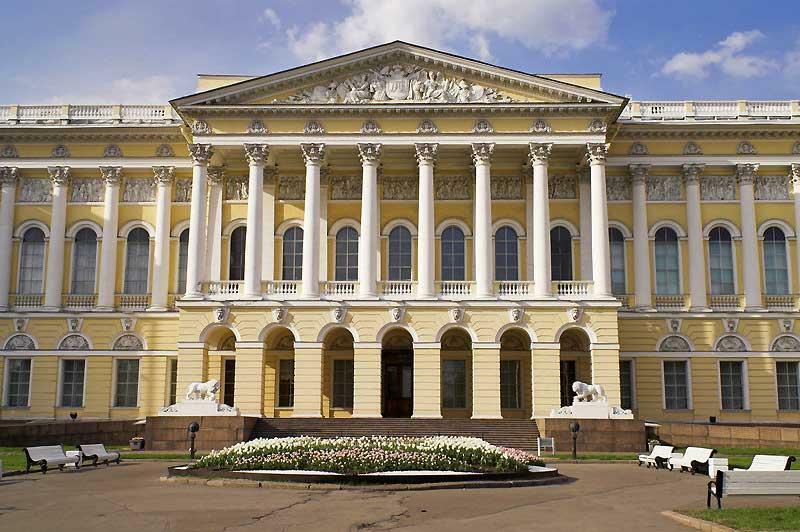 The Hermitage Museum is one of the largest and oldest museums in the world. Catherine the Great founded the State Hermitage Museum in 1764. 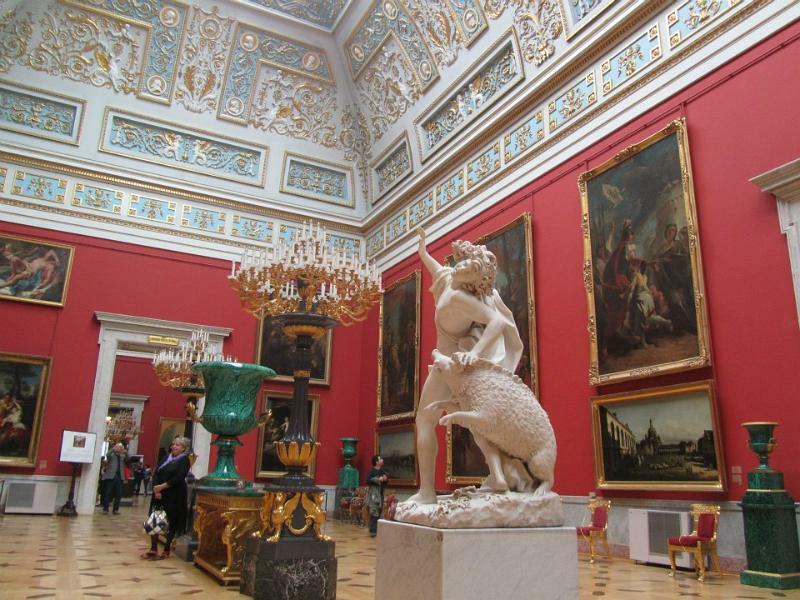 The museum sections open to the public are the Winter Palace, Small Hermitage, Old Hermitage, New Hermitage and Menshikov Palace. The Hermitage Theater is a great place to take in the famous Swan Lake Ballet. The museum is closed Mondays. Don’t miss the Jordan Staircase in the Winter Palace. The Palace Bridge is on the Neva River at the Winter Garden. 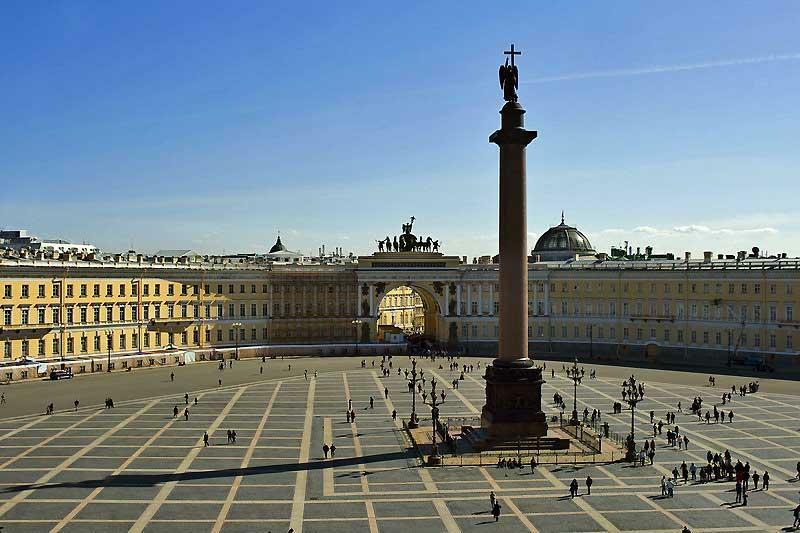 The Palace Square and Alexander Column are on the side of the State Hermitage Museum that faces inland from the Neva River. 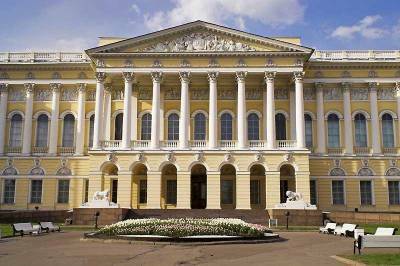 After visiting the Winter Palace, walk to the Admiralty, which is the former naval headquarters. On the grounds along the Neva River you will find the Peter the Great Bronze Horseman statue. 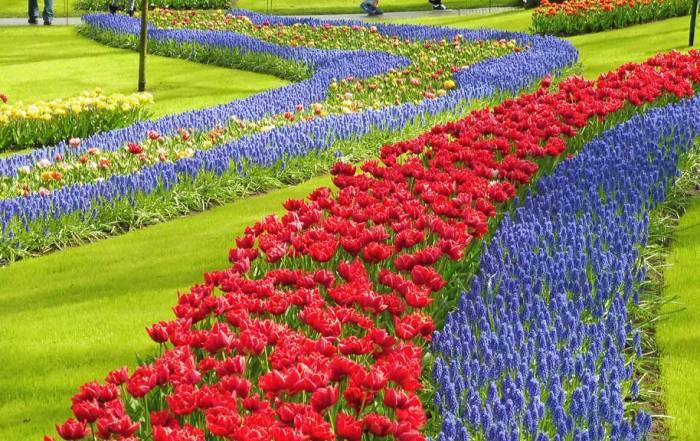 Then wander through the gardens of the Admiralty to St Isaac’s Cathedral. The cathedral dominates the skyline of Old Town St Petersburg. 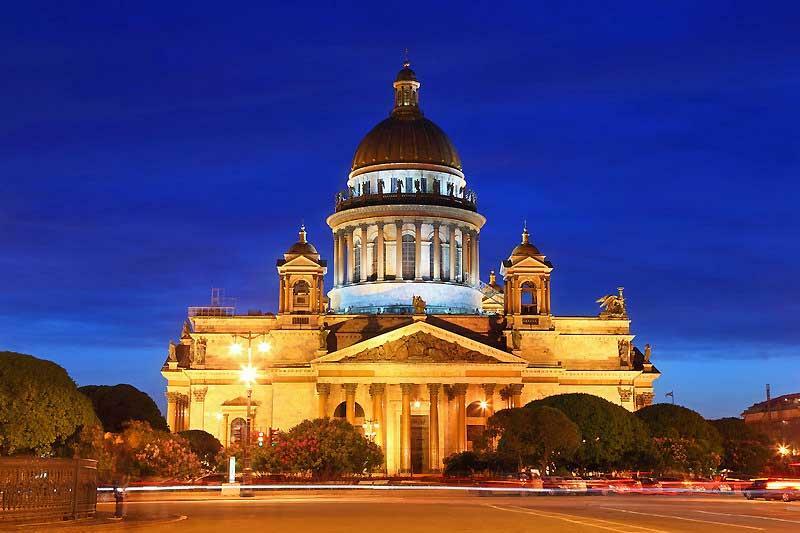 From St Isaac’s Cathedral, pass through St Isaac’s Square and see the Monument to Nicholas I. Then cross the Blue Bridge over the Moyka River to see the Mariinsky Palace. The Blue Bridge is so wide and low that you likely won’t even notice that it’s a bridge. From here follow the Moyka River to the Nevsky Prospect. The Nevsky Prospect (Prospekt) is the best known street in St Petersburg. Along the street you will find Kazan Cathedral and the Strogaov Palace. The name Strogaov Palace is related to beef Stroganoff, because the dish was invented by one of the cooks at the palace in the 1700s. Finish off your visit to the Nevsky Prospect at the Elyseyev Emporium, which is a shopping center and a great place to grab a bite to eat on your St Petersburg walking tour. 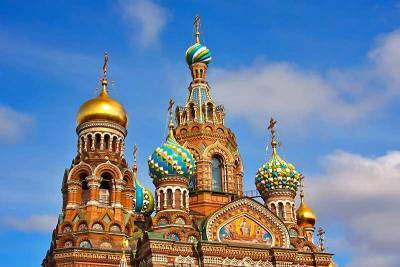 For the last part of your St Petersburg Walking Tour, visit the Church of the Saviour on Spilled Blood, the Russian Museum and St Michael’s Castle which all surround the Mikhailovsky Garden. 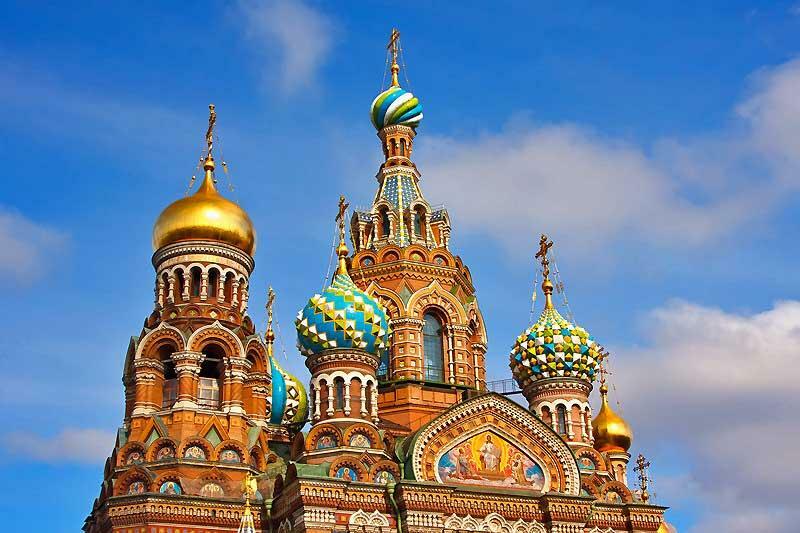 The Church of Our Saviour on Spilled Blood is one of the highlights when you visit St Petersburg. 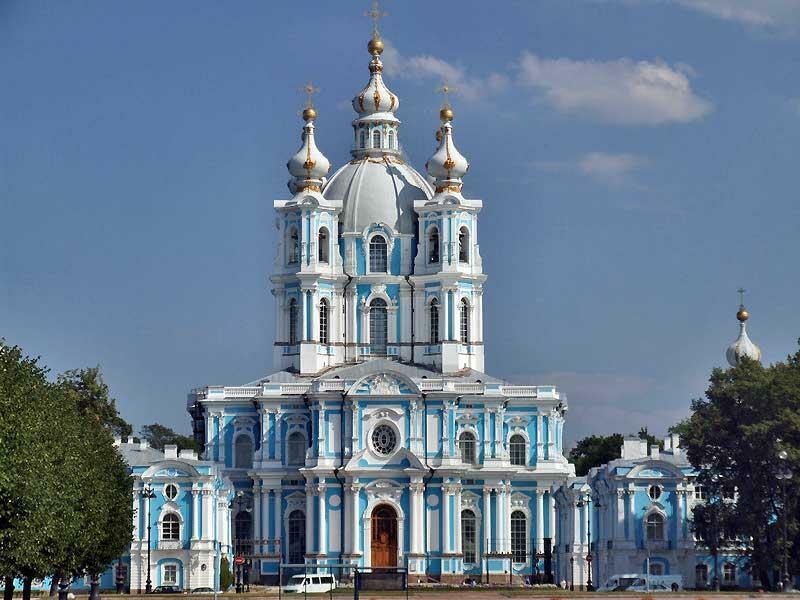 The church was built in memory of Tsar Alexander II, who was assassinated at this location. The Russian Museum faces Arts Square, while the Mikhailovsky Garden is behind the Russian Museum. Arts Square gets its name from the large number of museums, theaters and concert halls that share this area with the Russian Museum. 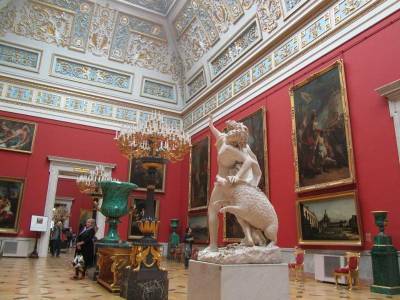 The Russian Museum includes nearby St Michael’s Castle, which was the residence of Emperor Paul I in the late 1700s. 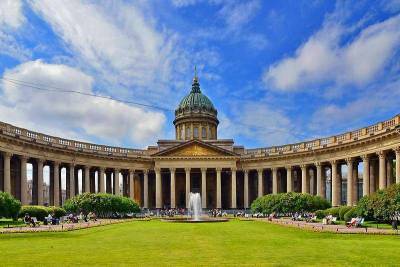 Extend your St Petersburg walking tour from the Russian Museum by strolling through the Field of Mars and Peter the Great’s Summer Garden. From the Summer Garden you can see the Peter & Paul Fortress and the Cabin of Peter the Great on the opposite bank of the Neva River. 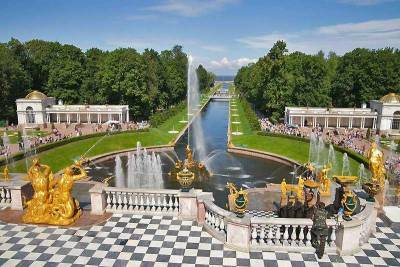 Peterhof Palace is one of the top tourist attractions for people who visit St Petersburg. This palace was the home of Peter the Great on the Baltic Sea. 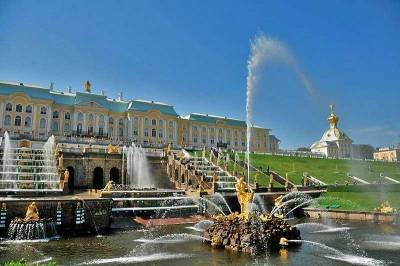 The Peterhof Palace includes the Grand Cascade, Samson Fountain, Lower Gardens and the Grand Palace. Take a 50 minute hydrofoil ride from the Winter Garden to get to Peterhof Palace estate and gardens. 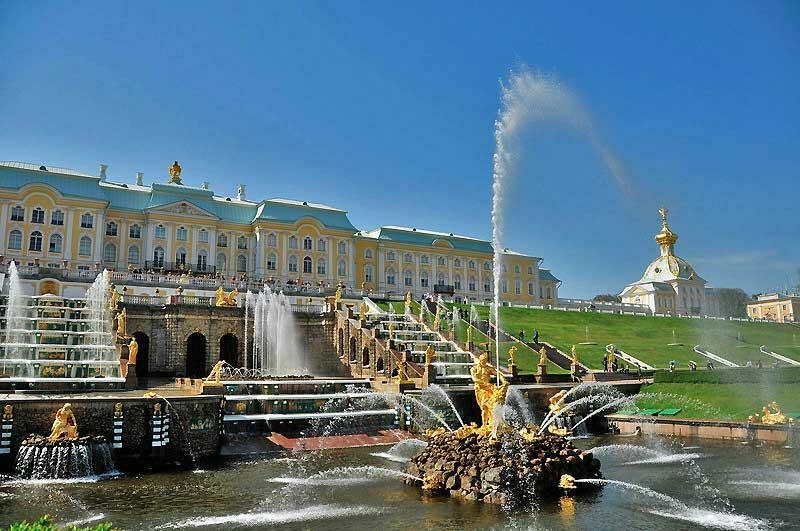 Another option is an organized half day tour to Peterhof from downtown hotels. Peterhof Palace is closed on Mondays. 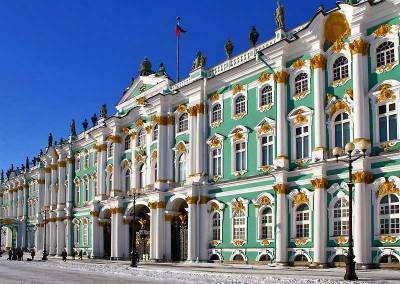 Catherine Palace was a summer home for Russian royalty. The palace has extensive architecture and grounds. Catherine Palace is about 45 minutes south of St Petersburg in Pushkin. You can book a Tour of Pushkin to see Catherine Palace. Peter and Paul Fortress & Cathedral – Fortress and Russian Orthodox church built in 1712 on Zayachy Island along the Neva River near the Old Town. 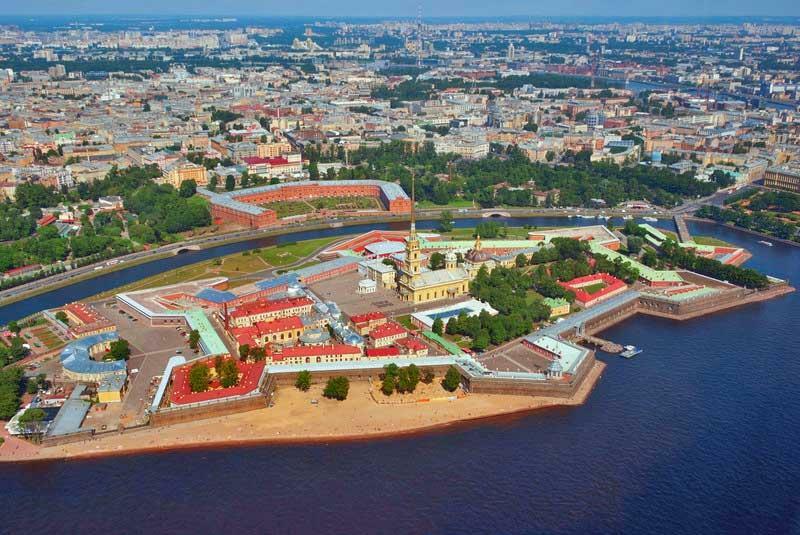 When you visit the Peter and Paul Fortress, stop at the nearby Cabin of Peter the Great. 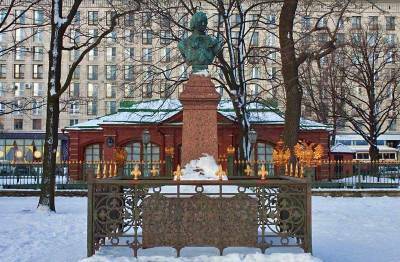 The Cabin of Peter the Great is the first residential building in St Petersburg. 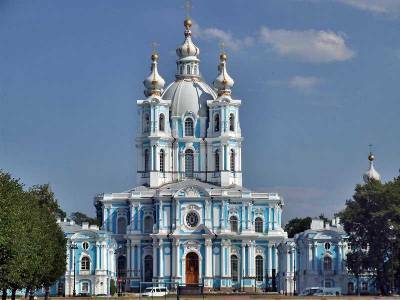 Alexandr Nevsky Monastery – Tchaikovsky and Dostoevsky are buried here. Dostoyevsky Museum – tribute to the famous Russian author. Edmond J Safra Grand Choral Synagogue – second largest synagogue in Europe. You can get to St Petersburg by flying to Pulkovo International Airport (LED). St Petersburg also has good rail connections. 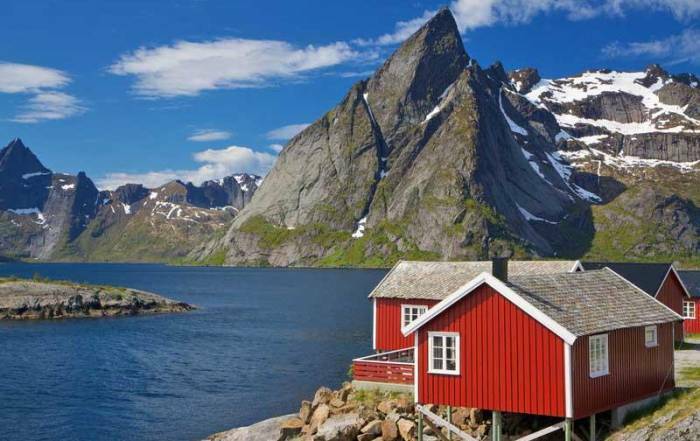 Helsinki, Finland is about 3.5 hours away via Finliandskii Station, Moscow can be reached in just over 4 hours by high speed train from Moskovskii Station. 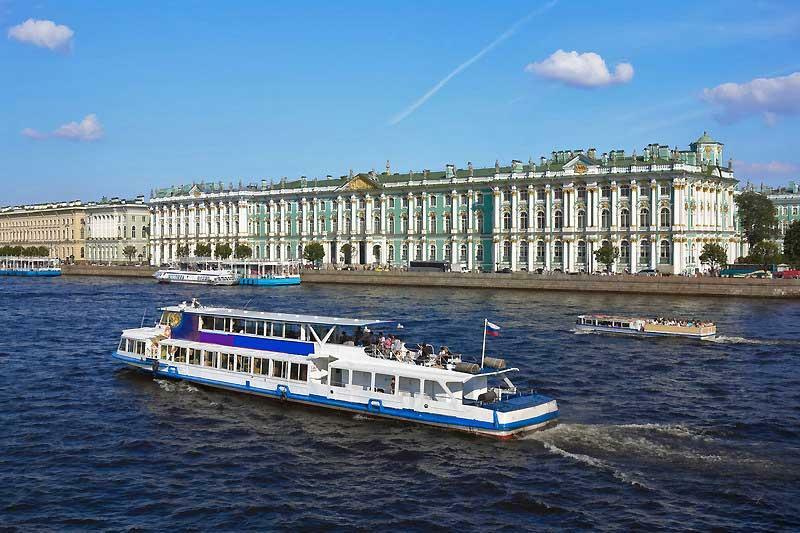 St Petersburg is a very popular ocean cruise line port and a Neva River cruise port too. 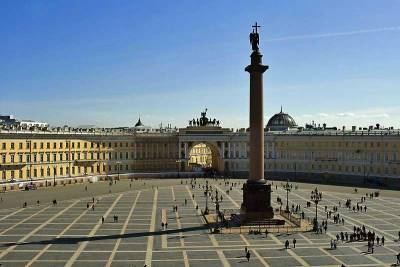 If you arrive by cruise ship, you should always get around St Petersburg on a visa-free tour. If you arrive at the airport, an express bus service takes you to Moskovskaya metro station. A taxi from the airport will take about 45 minutes. The St Petersburg Metro is a great way to get around St Petersburg. St Petersburg has 5 metro lines (M1 – M5) with each having a distinct color coding. The metro stations are a cultural experience too, just like they are in Moscow. St Petersburg weather is warm and humid in summer. 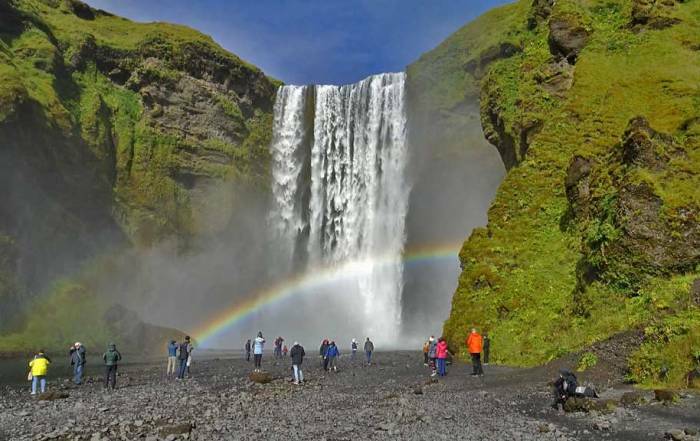 June through August are the best months for temperatures, but these are also the busiest months for tourism. Expect average summer highs of 72 F (22 C) and average lows of 54 F (12 C). Winter weather is cold and snowy. St Petersburg is slightly warmer than Moscow though, because it’s on the Baltic Sea. Visiting in January, when the crowds are gone and the city is blanketed in snow, can be a special time to see the city. 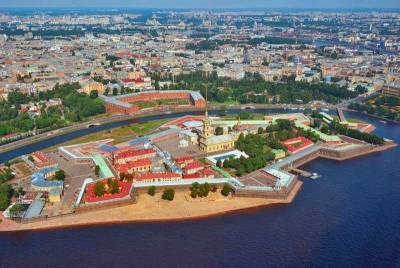 St Petersburg is on the Neva River where it enters the Baltic Sea. The city is sometimes referred to as the Venice of the North, because of its canals. St Petersburg used to be known as Petrograd and Leningrad in the past. Tsar Peter the Great founded St Petersburg in 1703. It was the capital of Russia until 1918 when Moscow took over this role. The old town of St Petersburg is a UNESCO World Heritage Site. 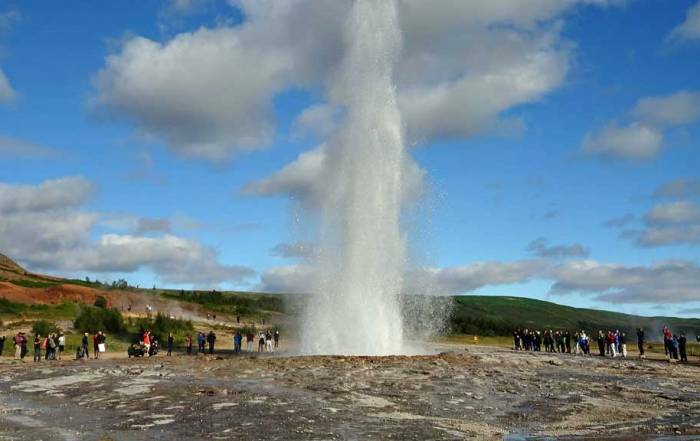 Plan the timing of your trip carefully as many attractions are not open on Mondays.